We do nothing fancy with our yoghurts – we simply apply the same principles of using the freshest possible ingredients and traditional manufacturing practices that we use for our milk production. We never add anything artificial or unnecessary to our dairy products and the result is a thick, creamy and fresh tasting natural yoghurt that can stand shoulder to shoulder with the best dairy products out there. We don’t claim that our natural yoghurt will cure all ills, save the planet and make everyone a nicer person, but we do claim that it tastes damn good and is everything that honest, locally produced food should be. 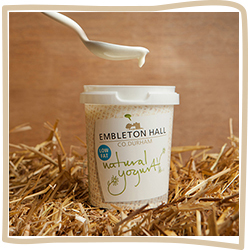 Fortunately, you don’t just have to take our word for it – our natural yogurt was awarded 2 Gold Stars in the Great Taste Awards of 2008. We have six flavours in our yoghurt range – natural, strawberry, raspberry, mandarin, black cherry and rhubarb and they are available in sizes ranging from 10kg to 115g pots. 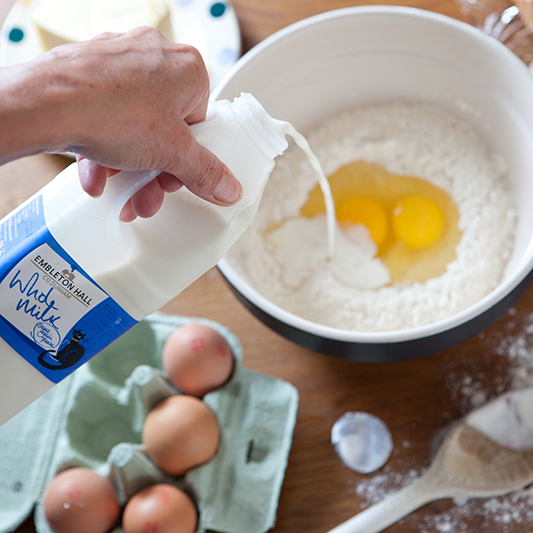 Love cooking with milk, fresh cream, natural yoghurt? Click below to find our favourite dairy products recipes.